I continue to be amazed by the fun personalized items that collage.com is offering and I’m so excited to tell you about this one – a collaged pillow! “Liven up your living room with our premium photo pillows. 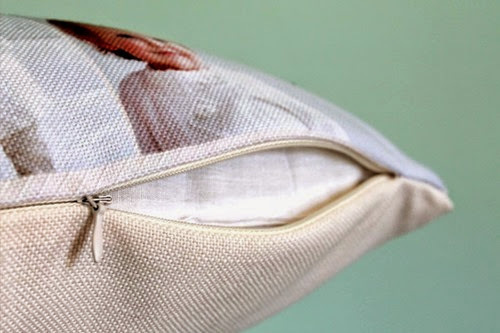 Our soft woven pillows feature a hidden zipper and a removable, machine-washable cover.” You can get a 16×16 pillow with up to 30 pictures on it or an 18×18 pillow with up to 40 pictures on it! 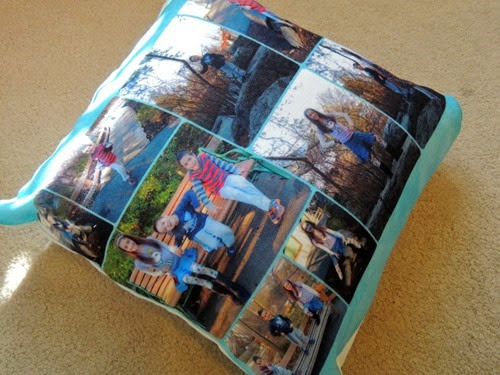 I had a few ideas of what to put on my pillow, but in the end I went with a variety of photos of the kids – as they are my favorite photo subjects! 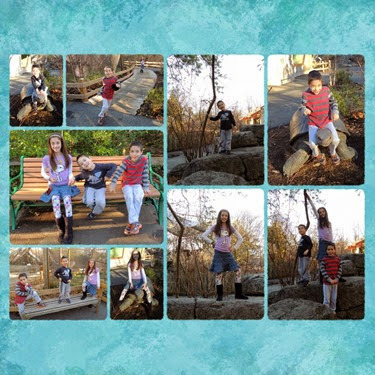 These particular photos are ones I took at the zoo in NJ. There are a variety of background options and I decided to use this teal color. I really like how it turned out! 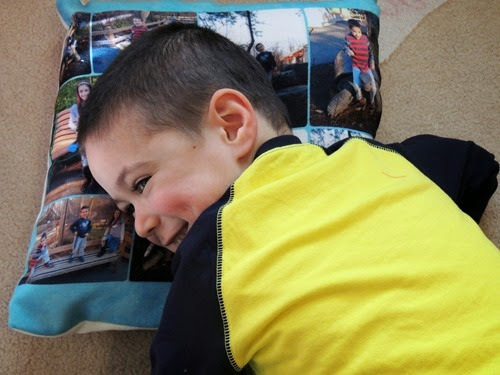 My kids love the pillow, and Simon put it to use immediately! It’s very soft and fluffy and just the right size to rest on! (This is the 16×16 size). 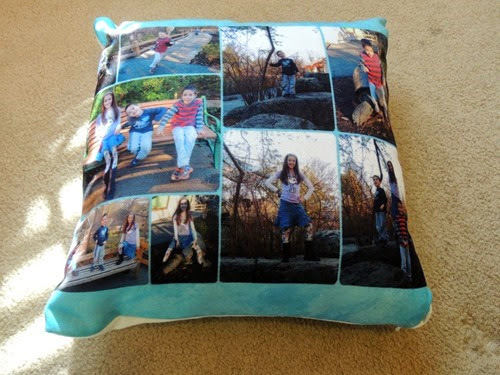 So, do you want a 16×16 collaged pillow too? Collage.com is offering one up for one of my readers! Just enter below!